Smart Game suitable for ages 6 to adult. Park the cars in the right spot! Test your parking skills with the 60 challenges in Parking Puzzler! 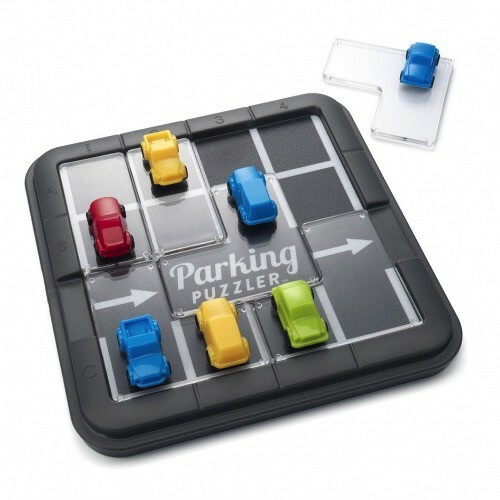 A unique deduction game, Parking Puzzler players must find the right spot for each car using the clues and directions provided in the challenges. No illegal parking is permitted! Cars parked in the driving lane or taking up two spots will not be issued a license to move to the next challenge!